Surprise, Ahgases! GOT7 has announced that they will release a new edition of ‘Present: YOU‘ on December 3rd. 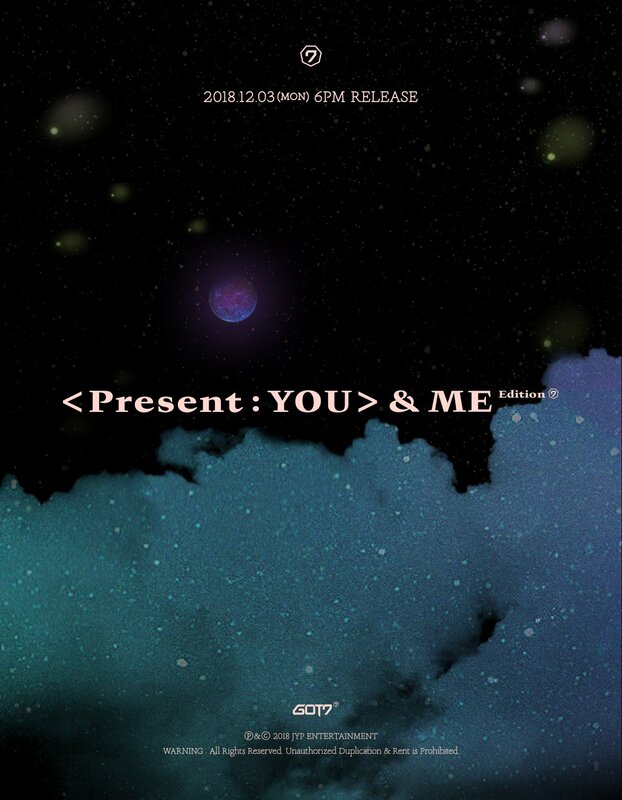 It will be called ‘Present: YOU & ME‘. The new edition will include new tracks by the group. ‘Present: YOU‘ is their third studio album that was released on September 17th. ‘Lullaby‘ is the title track. This album was different as it included solo songs from each member that they had produced themselves. The teaser image shows a galaxy sky with a purple moon and clusters of stars against a teal-blue backdrop. This suggests that their comeback will have a magical feel to it. The album includes a cover, photo book, lyrics booklet, CD and a random photo card. Pre-order benefits include a calendar for the upcoming year, decoration sticker and a random poster. Are you excited for GOT7‘s new release next month? Let us know in the comments below.